Hello everyone! @livinguktaiwan back with another post to share fun and cultural diversity across Asia Pacific. Yummilicious is a wonderful word created by our very own @elizacheng and I think there is no better word than that to describe today's topic. I'm sure most of us have a pack of instant noodles lurking at the the back of our kitchen cupboard at home. They are especially popular all over Asia Pacific and great when we don't feel like cooking a proper meal. Let's see what different varieties we have in each of our countries. @nanosesame says "Instant noodle is one of the important food in Hong Kong. The most famous one is Temaeiccho. It is originally from Japan. But I think it is more popular in HK. When we eat at home, sometimes will add some toppings like egg and ham. Many local fastfood restaurant also provide it as a set with toast or bread. Also we not only eat with soup, also fried. Besides, many Hong Kong people like Indonesia instant noodle and Korean spicy noodle. I like all of them!" 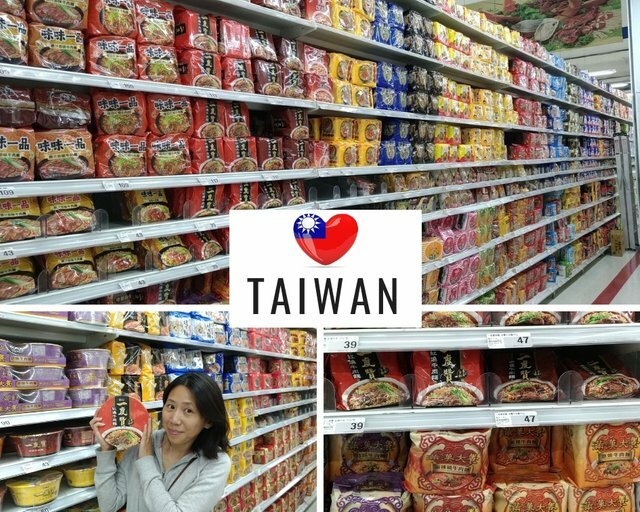 From myself @livinguktaiwan, "Instant noodles are very popular in Taiwan and often you can find aisles full of them in supermarkets. There are a lot of very good local brands and most of them do a beef noodle flavour as beef noodles is probably one of our national dish. There are real pieces of beef in these bowl, they are sealed in an aluminium pack which you just place on the lid after you have added hot water to the noodles. The heat from from lid heats up the beef. One of my other favorite flavour is a chicken noodle which has a dash of rice wine in it." 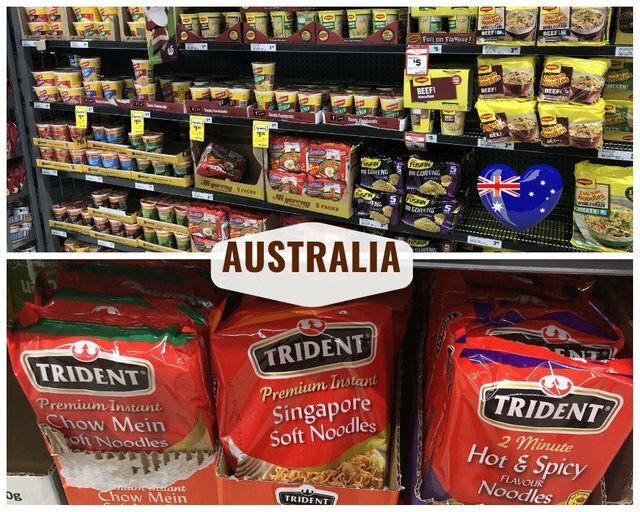 @travelgirl says "The instant noodle varieties in Australia doesn't seem to be as big as in Asian. 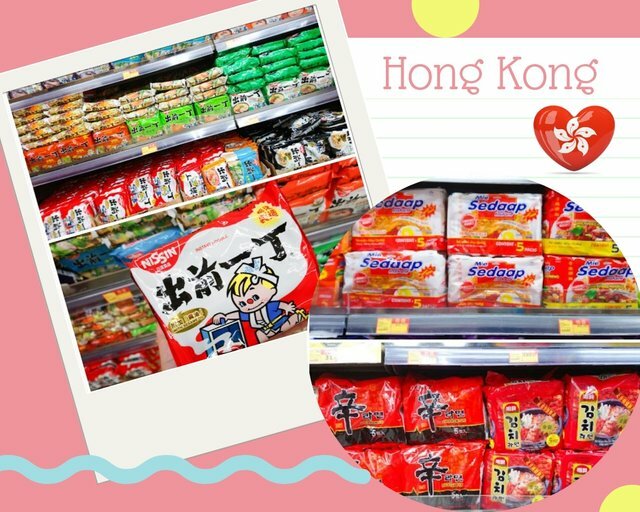 In recent years, supermarkets have imported Asian brands like Migoreng and Asian flavoured noodles. 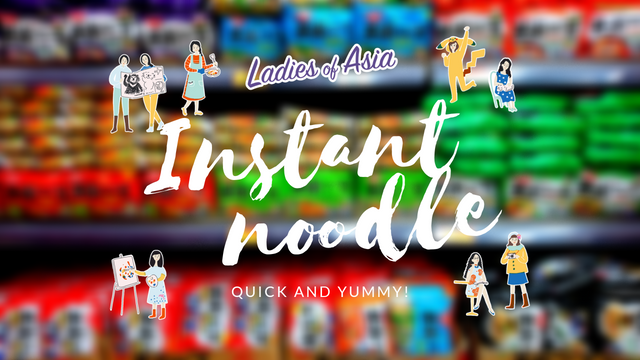 Personally I prefer to buy the Asian instant noodles from Hong Kong, Japan or Korea as they tend to be a larger packet with my flavours to choose from." 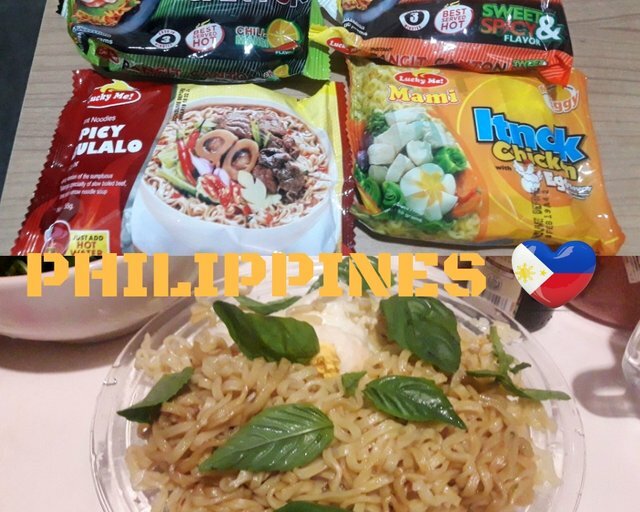 And reporting from Philippines is @wanderlass "Lucky Me is a very popular local brand in the Philippines when it comes to instant noodles. They produce both dry and soup noodles. Pancit Canton is dry noodles with savoury flavor and it comes in differerent varieties like sweet and spicy, spicy, calamansi (PH lime) or original. The noodles soup has more variety and imitates Pinoy local dishes like Bulalo (beef bone broth soup), chicken, seafood and many more. I consider this my most convenient comfort food. I try to avoid instant food but it can sometimes be inevitable in a busy lifestyle. 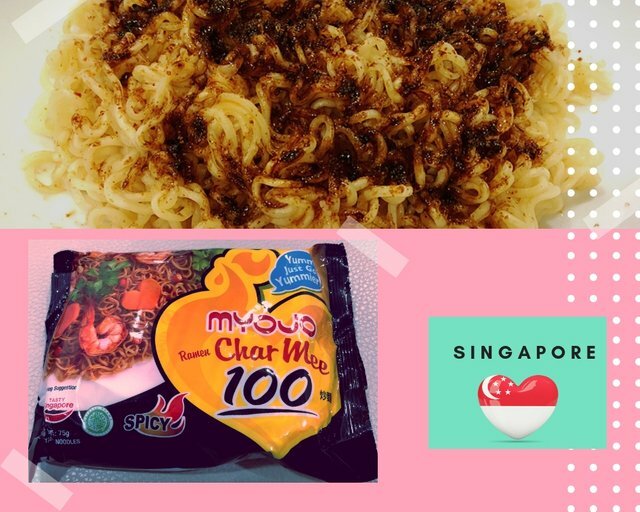 To make my instant noodles more interesting, I usually add eggs and some greens or veggies :) "
@jrvacation say "Due to the fast-paced living, convenient food such as instant noodles are popular in Singapore. Although recent years see rising trend of Japanese and Korean instant noodles, my all-time favorite remains as MYOJO Ramen Char Mee 100 Dry Noodles! This brand of noodles is a product of Singapore and is halal certified. It is best enjoyed by cooking the noodles in boiling water, drained and mixed with the seasonings and oil sachets included in the pack. The noodles taste slightly spicy and the portion is relatively small. On hungry days, I will have to cook 2 packets to eat together! Yummy! You can find MYOJO Ramen Char Mee 100 Dry Noodles at all supermarkets. They are sold in packets of 5, at SGD2.25. Another souvenir to bring home from Singapore!" 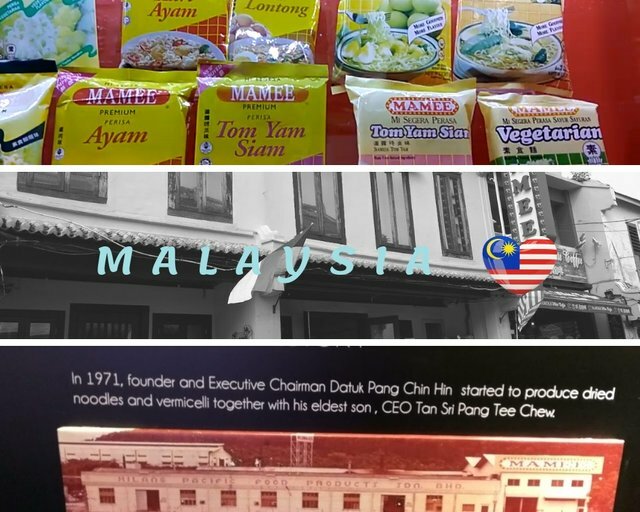 And finally is @elizacheng from Malaysia "In our supermarket, we can get many different brands of instant noodles, either from Japan or Korean or local. The normal flavour would be chicken, curry, tomyam or vegetarian. We have both dried noodle and soup noodle. I love both dried and soup noodle. One of our local brand is Mamee. Me and my family visited Malacca during the August school holiday. And to our surprise, there's actually a Mamee "museum" there. It's called Mamee Jonker House. It's a great place to bring our little ones to visit. They get to "design" their own cup noodles and also "make" their own Mamee noodle snack. 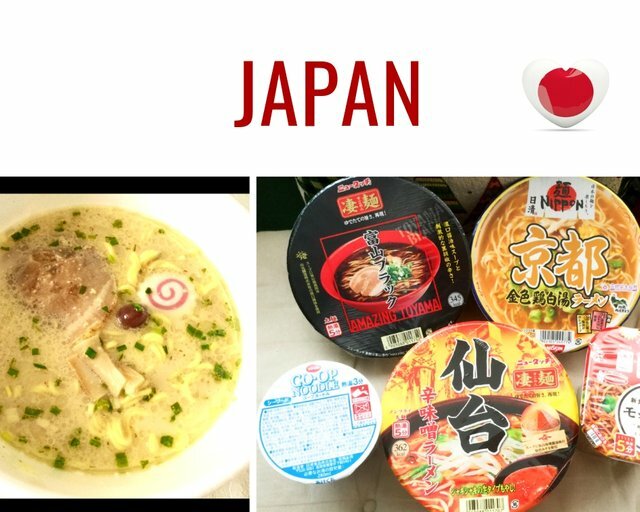 It's great to see that there is so much variety in the instant noodles, and that the local flavour is incorporated into them. It just goes to show that sometimes you don't need to go for a full blown meal to sample the local cuisine. If you are travelling on a budget, or in your hotel room without cooking facilities but fancy a late night supper, now you know how to eat like a local. Yummilicious!!! Lol!!! I’m still amused by that! Instant noodles I think in most countries are good. I see these brands in the imported section of the supermarket :) Makes me crave now. Yum!